When will the whole world map covered ? You know, when you spend more time researching about the game than playing or posting. You're the first! I'll send a PM for your email. Thank you so much for the kind gift. It will be used for hours to come. 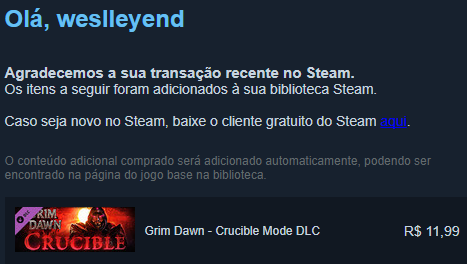 As you did it to help this amazing community, I'll give it back a little by buying the Crucible DLC now out of sale, it's not much but I think it's something. I wonder how much more before that 300k copies are sold.. According Steam Spy the expansion has sold so far around 100k which is very low in my opinion for the value for money you get, not to mention we need to hit 300k to cement a 2nd expansion! Go buy more copies people - i am buying keys and giving to friends every month (kind of like subscription fee in my mind). that's freaking low.. perhaps GOG could add half of those numbers and still not even half way? I'm quite surprised if sales are really going that slow. As with the expac GD gained a lot of popularity and respectively new players, the old player base aside. ATM GD is more frequently mentioned on PoE forums than PoE itself, and many people say they bought a copy to try it out. Eventually, there could be similar processes with the D3 player base, sounds logical. Also there are a lot of streamers doing the game, it helps a lot as well. So 100K looks like ridiculously low, at least for me. Last edited by hellcat; 10-23-2017 at 06:38 PM. I'm quite suprised if sales are really going that slow. As with the expac GD gained a lot of popularity and respectively new players, the old player base aside. So 100K looks like ridiculously low, at lest for me.